Artist Film Workshop. Photo by Eddie Stevens. Artist Film Workshop (AFW) is an artist-run group with a mission to advocate for, and provide access to, film: materials, knowledge and resources. To this end, AFW holds regular open screenings and organises at-cost practical workshops for artists working with film—or those interested in doing so. 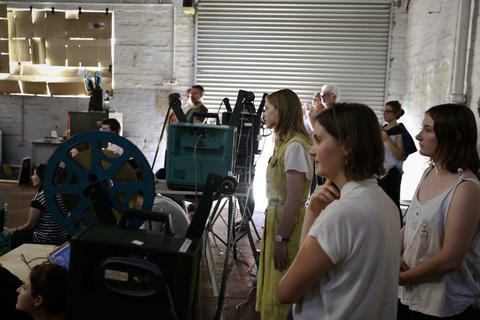 The workshop includes a wet lab (where cine-film of any gauge can be processed), a dry darkroom with a 16mm contact printer and editing facilities, and a screening space. Interested artists are encouraged to join the collective, or head along to its events.